GMP stands for “Good Manufacturing Practice”. GMP is a quality assurance tool which is used across a range of industries, including medical and food manufacturing. GMP is intended to ensure that products are consistently produced and controlled to state-of-the-art quality standards appropriate to their intended use. Thus, GMP principles significantly contribute to providing consumers and patients with products with a consistent quality and high safety level. But what has that got to do with regenerative medicine? Well, quite a lot if you want to bring a promising new therapy utilising a novel medicinal product from the laboratory to patients. But does regenerative medicine fall under the pharmaceutical law? The answer is yes. In December 2008, the European Commission enforced the “Regulation on Advanced Therapy Medicinal Products (ATMPs)” as overarching legislative ordinance. The ATMP Regulation classifies gene-therapy, somatic-cell-therapy and tissue-engineered products including stem-cell based-products as pharmaceuticals when intended not for research but for human use. What is GMP and why do we need it? Good Manufacturing Practice guidelines set out quality control standards for the manufacturing of medicinal products. They aim to ensure that pharmaceuticals such as pills or vaccines have consistent strength, purity and quality. GMP guidelines cover quality assurance measures for all aspects of manufacturing – from premises, equipment and staff training, to operational processes, packaging and storage conditions – as well as overarching quality assurance and documentation systems. 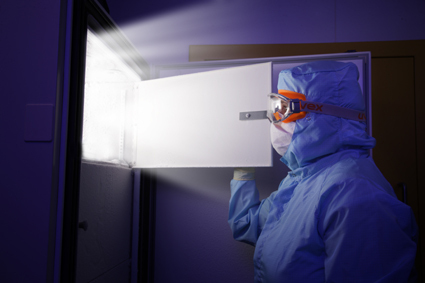 For example, specific GMP chapters address the requirements for the air of a clean room, whereas other parts target all materials and reagents used in the production of a particular drug. It also specifies how far a manufacturer must be able to trace back the source of each ingredient in the final product and, of course, how final testing of the product is performed before release. GMP guidelines are exactly that: they are guidelines, not laws. Most countries have passed laws making it compulsory for pharmaceutical companies to follow established GMP guidelines. For Europe, the EU GMP guidelines are publically available. It is important to emphasise that the GMP system is integrated into a number of other measures aiming to protect the health of patients and consumers, meaning us! However, new scientific and technical developments like stem-cell-based therapies also raise new challenges for regulators, as GMP regulations have to be constantly adapted or even newly developed to meet the progress in the field, the characteristics and the risk profile of these innovative investigational products. Current GMP guidelines and regulations are based on quality principles that have been established for pharmaceutical and healthcare manufacturers for over 50 years. Now the emergence of regenerative medicine concepts raise new questions on how to achieve adequate safety and quality standards. This is especially challenging, as manufacturing of regenerative medicine products often deploys new biotechnological techniques like tissue engineering, genetic modification or sophisticated cell-culture techniques. Even more important is the fact that a product comprised of living cells or other fragile biological compounds cannot be standardised in the same way as a conventional pill. For example, researchers are investigating the possibility of using mesenchymal stem cells (MSCs) to treat certain severe diseases, e.g. Graft versus Host disease (GvHD). The MSCs can be obtained from the bone marrow of a related or non-related human donor (allogeneic) or the patient himself (autologous) and are isolated and expanded in cell culture. Here GMP intends to stipulate relevant quality parameters that must be met before such cells can be used to treat patients. Absence of infectious disease, microbial contamination and process-related impurities must be demonstrated. 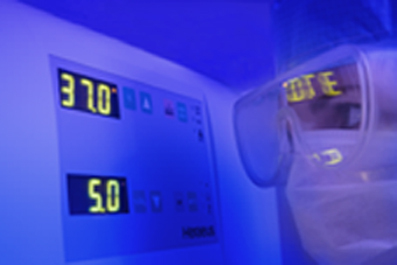 Content and functionality of the cells in the product during its shelf life before it reaches the patient is measured. Every result is documented and stored in a way that traceability is ensured, which is important in case adverse events potentially assignable to the product occur. Detractors of GMP criticise the extremely high costs of establishing and maintaining a GMP system. Especially in early development, when only a few batches of an investigational product for testing in a low number of patients are produced, setting up a GMP-compliant process significantly contributes to the overall costs and slows down developmental time lines. For developers – especially universities and small-medium sized enterprises (SMEs) and start-up companies – this might lead to financial risk or even abandonment of the project. As a result, this could cause delay or even a halt in development of novel treatment options for patients. Therefore, the GMP compliance status must be adjusted carefully, taking into account the developmental stage and the risk profile, but also therapeutic innovation, potential benefit and medical need. Different regulatory bodies around the world provide GMP guidance. For example, in Europe the EU, in consultation with the relevant authorities of the Member States and the European Medicines Agency (EMA), sets up the legislation and provides subsequent guidelines, whilst the Food and Drug Administration (FDA) is responsible in the USA. Many other countries use GMP guidelines provided by the World Health Organization. All agencies aim to make sure only safe and effective products are produced and released. Often, this is not a black or white scenario, as the regulators have to balance potential risks against the likely benefits and improvements of a particular therapy or drug for the public or an individual patient. This requires sound scientific evidence about the safety and effectiveness of therapies. GMP regulations and guidelines need to be updated regularly to keep pace with scientific and technical developments. Updating or drafting new guidance involves consultation with many different stakeholders, from manufacturers to clinicians, researchers and patient groups. Since 2005, the European Commission has been extensively working on updating the part of its GMP guidelines covering biological medicinal products. In 2015, the EC started a targeted stakeholder consultation on the further development and adjustment of GMP for Advanced Therapy Medicinal Products. The planned changes attempt to establish the parameters for the development of these novel innovative therapies. The original GMP factsheet was created by Karen Duffy and reviewed by Giulo Cossu, Michele de Luca, and both Judy Fletcher and Gordon McLean of the MRC Centre for Regenerative Medicine. It was updated in 2016 by Ralf Sanzenbacher, and reviewed by Daniel Besser and Amanda Waite. GMP facilty photographs © REMEDI. Holoclar® image is used with kind permission of Holostem Terapie Avanzate, with whom the copyright resides. Several companies and universities developing stem-cell- or progenitor-cell-based therapies have already achieved GMP compliance, meaning that they are officially supervised and allowed to produce their respective cell products. Most of these are still intended for use within clinical trails, but one stem-cell-based medicinal product, Holoclar® for the repair of damaged corneas, was granted a marketing authorisation in the EU in 2015. Worldwide, currently a handful of stem-cell-based products hold a marketing license for their respective countries.